Come join us for the “first” (of many) Workshop Weekend Retreats! It’s a weekend of creativity, fun, laughter and “me time” where we will be scrapbooking our hearts out. 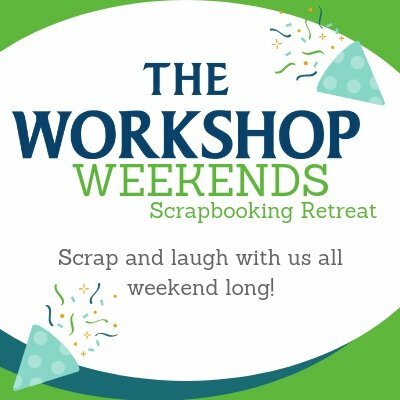 Hosted at the quaint and comfortable Festival Inn in beautiful Stratford, ON, the Workshop Weekend Retreats give you lots of time and lots of space for your crafting. Accommodations in comfortable rooms – you choose up to 3 roommates, or room on your own. Buffet breakfast with both hot and cold options, included with hotel room. Other meals are on your own. The option to start scrapping on Thursday night (hotel room extra). Lots of people to meet and share ideas with. The hotel has an indoor pool, hot tub and sauna too that you can use! $25 non-refundable deposit is required to reserve your spot. ** Once you have paid your deposit, please email us at customerservice@craftersworkshop.ca and tell us your room size choice (single, double, triple or quad) and expected roommates, even if they have not yet paid their deposit. Full payment is due no later than September 7, 2019. Registrations are processed on a first-come, first-served basis with payment. No spots will be held without payment of deposit. Cancellation and Refund Policy: Refunds are permitted up to 30 days in advance of the event for a refund of all fees paid, less the $25 deposit. All cancellations or transfers must be notified in writing to customerservice@craftersworkshop.ca. Due to contracted commitments to the hotel and event space, refunds (less deposit) cannot be issued for cancellations received less than 30 days prior to the event unless we have a waiting list and can fill your spot. If you have extenuating circumstances such as death or serious illness, please reach out to us to discuss. Registration is transferrable to another person at any time if you can find someone to take your place. Please let us know in writing the name and contact information of the person taking your spot. There will be absolutely no refunds for no-shows. There are no refunds for weather including travel delays related to weather. General: By registering and agreeing to these terms, you hereby release The Crafter’s Workshop and its employees from any and all liability, claims, damages, losses, lawsuits, costs and expenses of any kind which arise out of or result from attendance at an event hosted by The Crafter’s Workshop. We are not responsible for loss, theft or damage to your belongings.